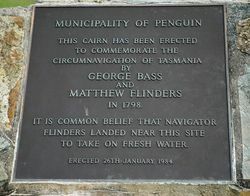 A cairn commemorates the circumnavigation of Tasmania undertaken by George Bass and Matthew Flinders in 1798. 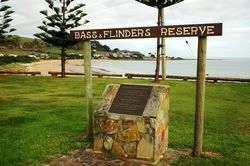 Bass and Flinders were sure that a body of water separated Van Diemen`s Land (now called Tasmania) and the Australian mainland. In 1798 they sailed along the northern coast of Van Dieman`s Land. They rowed up the Tamar River to near where Launceston is today and later climbed to the top of Mount Wellington which overlooks Hobart. They proved that there was water between Australia and Van Diemen`s Land and it was named Bass Strait by Governor Hunter. This cairn has been erected to commemorate the circumnavigation of Tasmania by George Bass and Matthew Flinders in 1798. 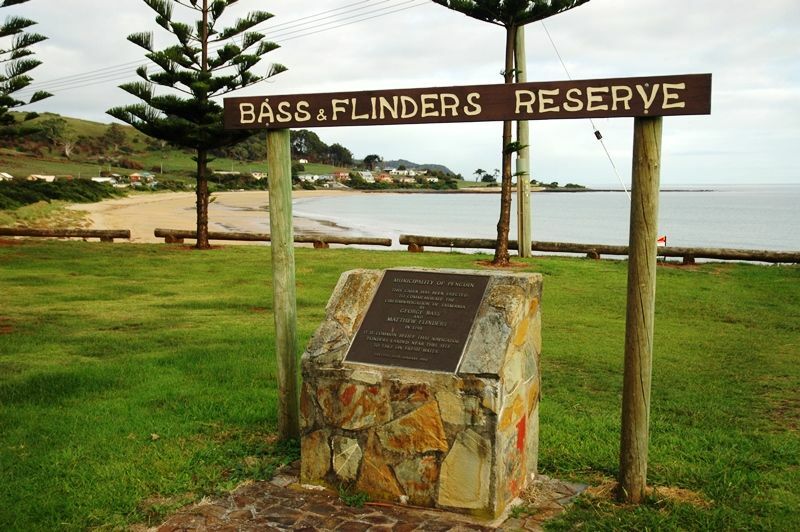 It is common belief that navigator Flinders landed near this site to take on fresh water.